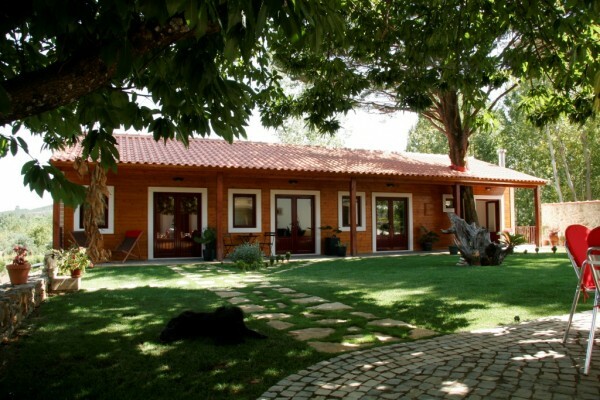 For those that want to replace the city stress by the calmness of the country side, Vila dos Castanheiros (Chestnut Tree Villa) is the ideal place. Located in the center of Portugal, in the historical village of Paio Mendes, 3 Km away from Dornes, where the peaceful flow of Rio Zêzere meets the lagoon of Castelo do Bode, you may take advantage of a magnificent landscape, where the mountainside of Ribatejo beginsThe rooms we have are named after our trees, whose fruits you may enjoy freely during your stay. Come find us and enjoy the comfort, silence, flavours and the pure fresh air of this genuine treausure in the middle of Portugal. This family project was born from a quest for a reunion with Nature. The restoration and recovery of the spaces went hand in hand with the discovery of the old Quinta (Estate or large farmhouse) of "Professor Camilo", the first owner, which was left abandoned for years. 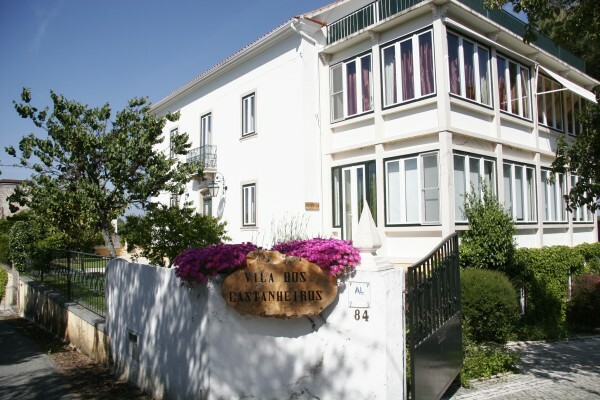 This experience of another life in the country, was the beginning of the Vila dos Castanheiros, that now shares its comfort and beauty with its guests. The wealth of details that embellish its original value and space are the result of true experience and have revitalized the once abandoned farmhouse that is now in our possession. We can't leave out the organic garden and our animals: chickens, ducks, guineafowl (Chicken Angola) and sheep, for now ... The foundation of a healthy and delicious cuisine that follows the seasons. And each season has its fruit (persimmons and chestnuts in autumn, oranges and tangerines in the winter, cherries in spring and plums, figs and pears in summer). We offer different solutions for your stay, including: rooms, apartments with kitchenette, and a house with independent access that once was the old boys school of the village. For dining we have available the 'Casa do Forno': a large, homey and fully-equipped kitchen with traditional oven for community use, and an outside barbecue where you can grill your own food, enjoying the shade of the big chestnut tree. For your entertainment we have traditional games and boardgames, as well as a multipurpose space we like to call 'The Theatre', where you can take refreshments listening to music or sing karaoke. To relax and refresh your energies we have a spa with Turkish bath, sauna, jacuzzi and massage bed. And our famous tank to cool off in, during the hot days. We service breakfast with homemade products, jams, seasonal fruit, eggs, fresh juices ... and other meals by arrangement. 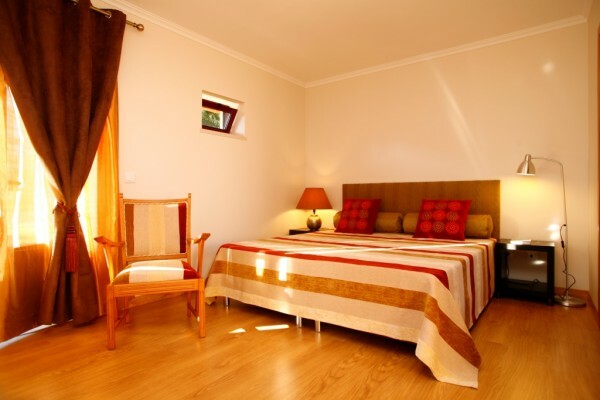 The price of the rooms does not include breakfast, you can order it for 7 € per person and other meals by arrangement. Prices subject to changes due to special offers during the regular seasons. No experiences yet with Vila dos Castanheiros. Be the first! Did you stay in Vila dos Castanheiros? Let us know what you thought about it and help others to make the right choice! * I confirm having stayed in Vila dos Castanheiros. 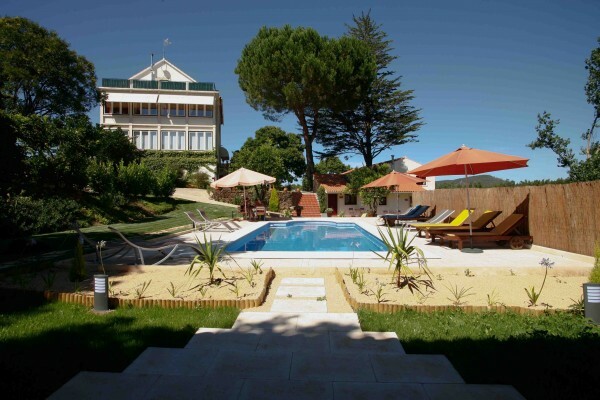 Find other bed & breakfasts in Paio Mendes or all bed & breakfasts in Centro.